Zayn & Harry x. . Wallpaper and background images in the Zayn Malik club tagged: zayn malik. This Zayn Malik photo might contain picha, headshot, and closeup. 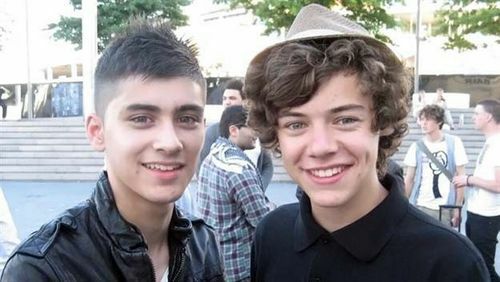 thats a cute pic of harry and zayn soo..... sexi!!!!! !